This blog post is a useful guide on the 15 Essential WordPress SEO Plugins in the market! Ok, wondering how to stay ahead of your rivals in the Search Engine Results Pages (SERPs)? The answer is by optimizing your blog for the search engines. Well, unless you are a novice blogger, you know that it’s easier said than done! But don’t despair, there’s an easy way to get around this challenge – by installing good WP SEO Plugins! Yeah, WordPress SEO Plugins can integrate some of the very complex SEO features into your blog with a few mouse clicks! Without much ado, let’s discuss these plugins one by one. Here are the 15 Essential WordPress SEO Plugins that you can try! First Essential WordPress SEO Plugins on the list is Yoast SEO. Joost De Valk is the man behind this highly sought-after plugin. It’s sought-after because it works and it’s free! However, you can upgrade to a premium version and unlock additional features, if you want. 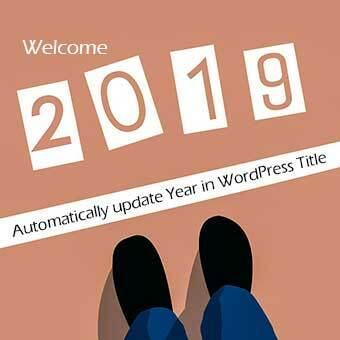 Dubbed initially as “WordPress SEO by Yoast” in 2010, the plugin went through rigorous improvements and changes over the years. Now rechristened into Yoast SEO, this plugin is one of the go-to WP SEO plugins in the marketplace! Install and activate the plugin, and then fill in the details in the settings page. Here is complete guide we have written to Optimize Yoast SEO Plugin. It checks the level of readability of the content and instructs how to improve it. It gives your content an SEO score. 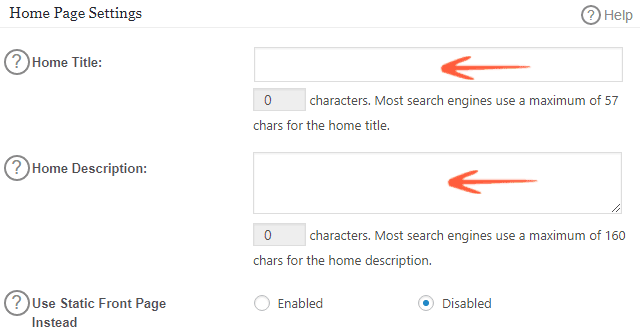 Even a newbie with no advanced SEO knowledge can easily use this plugin. This plugin has all the vital SEO features loaded into it to ensure higher search engine rankings. Yoast SEO is both easy-to-use and powerful in comparison to other sophisticated WP SEO plugins. If Yoast SEO is not your kind of SEO plugin, then why not check out the “All in One SEO Pack”? All in One SEO Pack is also a free plugin, but you can upgrade to a Pro version to avail additional features. 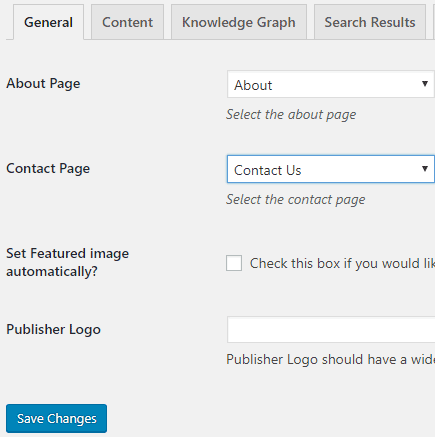 SEO Meta Box – This box allows you to enter the search engine optimized post title and description. XML Sitemaps – This allows you to submit XML sitemaps that facilitate easy navigation of your blog by the search engines. Social Meta – With this feature, you can easily integrate your social accounts with your blog. It has almost all the features of the Yoast SEO and easier to work with. 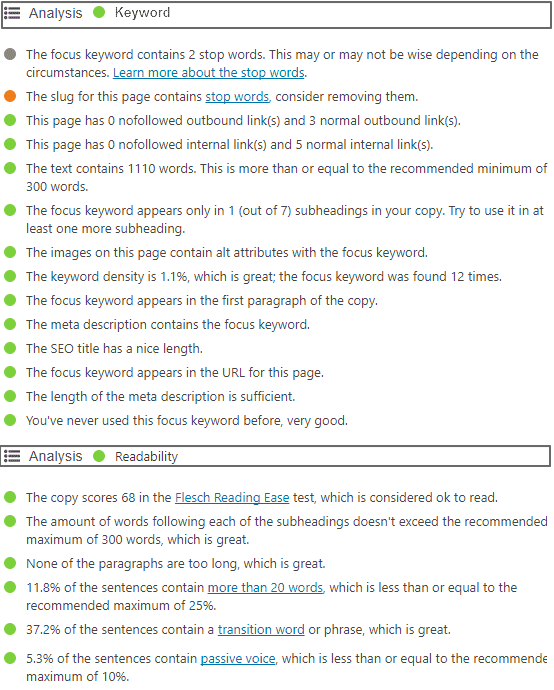 Unlike Yoast SEO, the settings are displayed on a single page, which many people find less confusing. And the interface is simpler. However, unlike Yoast SEO, the content is not analyzed for SEO defects and SEO score is not given to your web pages. As discussed earlier, XML sitemaps allow search engines to navigate (or crawl) your site efficiently. 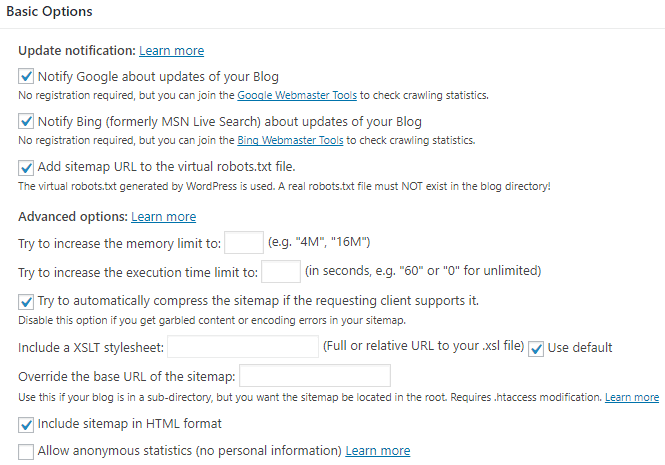 This makes Google XML sitemaps one of the vital WordPress SEO plugins for your blog! Remember, without a sitemap, your website can even remain undiscovered by search engines. You certainly don’t want that, do you! Yeah, the concept of sitemaps is a bit technical but equally crucial for higher search engine rankings. But worry not; this plugin takes care of the complex tech stuff for you. 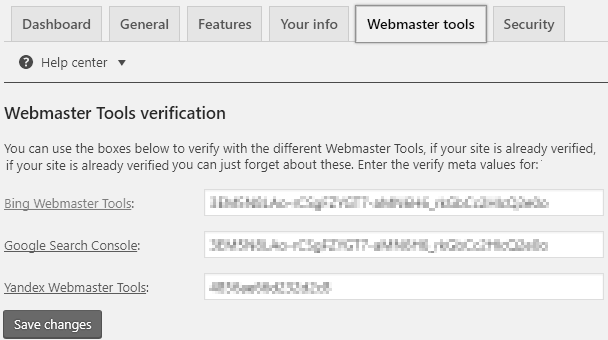 All you need to do is a few clicks on the checkboxes in the settings page and Voila! The XML sitemap is ready for your site. Supports pages created by WordPress as well as custom page URLs. Whenever you publish a new page or a post, all the search engines are notified of the new page or post. Very easy to setup and use, and highly recommended for newbies as well as veteran SEO professionals. This plugin is a specialized version of the Google XML sitemaps. Unlike the previous sitemap plugin, the Google XML sitemap for videos creates a sitemap of all the posts that have embedded YouTube videos in them. This plugin will generate XML sitemap of all the web pages with embedded YouTube videos or links to them. However, Google will ignore those web pages in your blog with YouTube videos that have been taken out from YouTube. This is one of the best WordPress SEO plugins to create video sitemaps. Though this is a useful SEO plugin, it hasn’t been updated for the past four years. So you may not receive support and maintenance for it and it may not work with your latest WordPress version. This WordPress SEO plugin comes from the same source as the Google XML sitemap for videos plugin. Unlike the video sitemaps plugin, this plugin will generate a sitemap for all the blog posts and pages on your WordPress site that have image URLs in it. To be easily discovered by search engines if your site hosts plenty of images! Learn how you optimize images in WordPress for SEO and Speed. This plugin also hasn’t been updated for the past four years. So you may not receive support and maintenance for this plugin. Plus it may have compatibility issues with the latest WordPress version. If you are looking for a plugin that ensures all your blog links are intact? Then look no further than the Broken Link Checker. 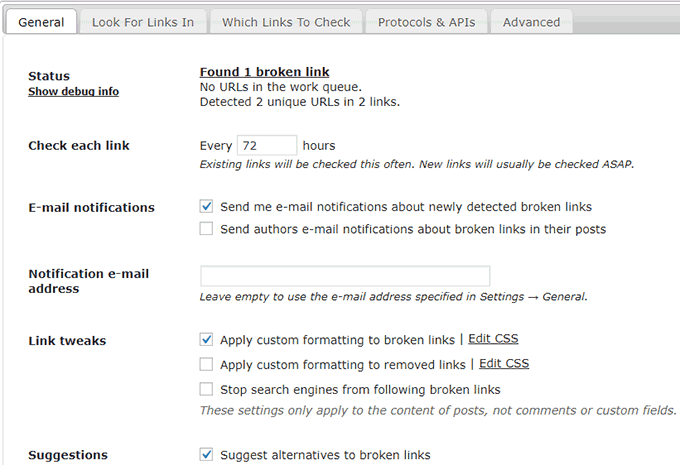 This is a highly configurable SEO plugin that notifies you of broken links in your blog through the Dashboard or email. Apart from broken links this plugin also checks for missing images, and non-functional redirects. You can edit the links right from the plugin’s setting page without having to update it manually on each page or post. 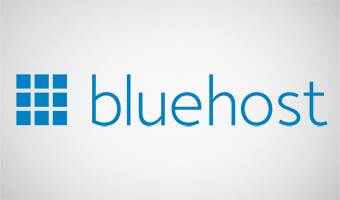 This plugin is especially useful for blog owners that are heavily into link building. Because it is extremely vital to have a flawless link structure for such blogs. This can surely be touted as one of the ultimate WP SEO plugins for redirects. The topic of redirects may seem daunting to many, but ignoring it can be equally detrimental to your blog’s SEO. This feature is really neat; the plugin creates a 301 redirect AUTOMATICALLY when you change the permalink of a post or page in your blog. You can also add 301, 302 and 307 redirects manually. This plugin helps you keep track of 404 errors (your blog’s non-existent pages) and also map them to 301 redirects. You can have total control of the redirected URLs by looking at the redirection log that it creates. It helps you easily manage the unnerving 301 redirects and 404 errors of your blog. 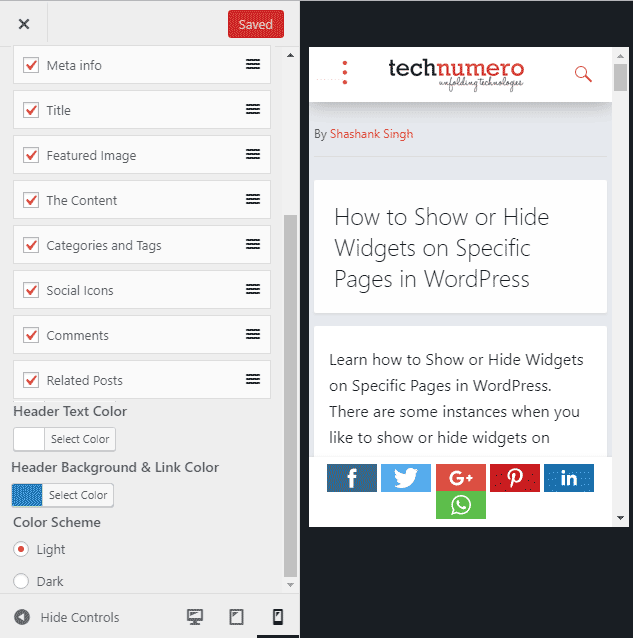 This plugin can be a lifesaver if you are moving pages or posts to a new website. Also, highly useful if you are moving your WordPress installation files to a new location. A robust internal linking structure is a strong ranking factor for search engines! SEO Internal Links is one of those WordPress SEO plugins that’ll help you accomplish that. The plugin will automatically link phrases and keywords of your posts and comments with categories, tags, posts, and pages of your blog. This plugin also allows you to link your custom keywords with the URLs of your choice. Very easy to configure and the perfect way to make your blog content interlinked. To know your blog’s performance, you must have the Google Analytics code installed on your blog. 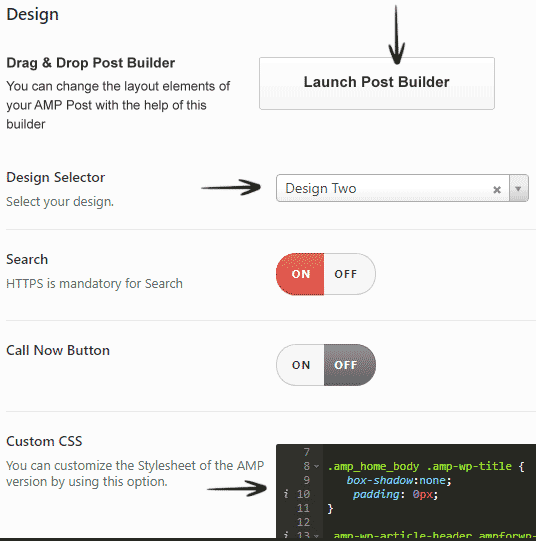 WordPress SEO Plugins like this helps you accomplish that without having to tamper with the code. Read how to add Google Analytics into your blog. The Right Way! Integrate your blog/website with Google Analytics without messing with the code. Know how visitors found your website and how they interact with it. Very easy to set up and monitor your blog’s performance. Allows you to analyze the Google Analytics reports right inside the Dashboard of your WordPress site. Connect your website with Google Analytics with a few mouse clicks and know vital stats of your blog right from the Dashboard. If you are just starting out with SEO, you must surely check out this plugin. This plugin can help you create content that’s both friendly for human readers as well as search engines. Helps you create excellent content and boost search engine rankings. Provides you vital SEO stats and helps improve them. The plugin can find the best keywords that you can use in your content for higher search engine rankings. 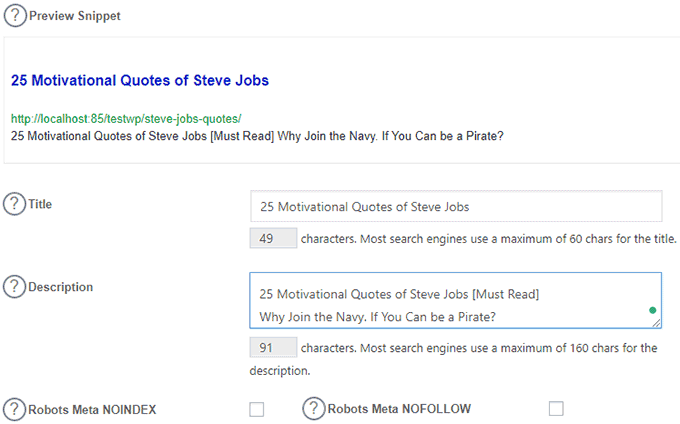 This plugin will help even a person with no SEO knowledge to create highly optimized content. Most importantly it is easy to set up and use! This is a plugin that allows you to provide “Rich Snippet” to the search engines. Integrating the ‘Rich Snippet’ is a minor SEO tweak, but it certainly renders crucial SEO benefits to your blog. This plugin helps you create ‘Rich Snippet’ information effortlessly that follows the Schema.org standards. Rich Snippet helps improve search engine rankings! Integrating Schema markup code helps search engines to display informative details from your blog in SERPs. This plugin helps you easily and automatically integrate Schema.org structured data markup in JSON-LD format to your WordPress site. It is designed to reuse the Meta data created by other plugins. This plugin helps search engines to retrieve and display more informative results about your website to the searchers. So apart from its SEO benefits, this plugin also makes your site more user-friendly. The creator of this plugin challenges Yoast SEO and All in One SEO Pack and claims to have a smarter way to redirect link benefits using canonical URLs. Well, then why not give it a shot to see if the plugin really stacks up to his claim! 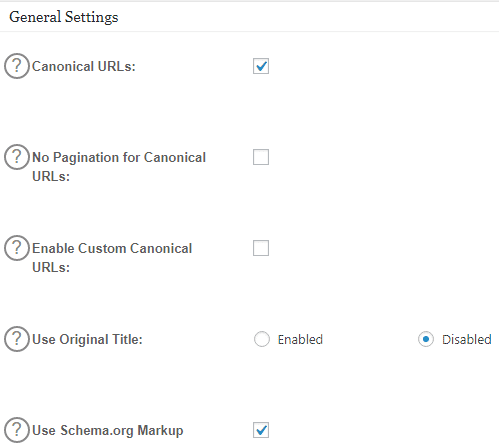 The plugin allows us to link to tags, internal categories, monthly archives, custom post type archives, custom taxonomies and so on and still retain the link benefits through canonical URLs. 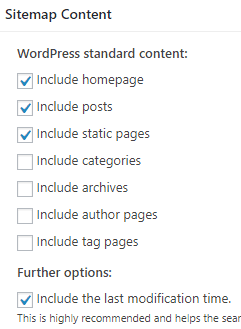 You can use this plugin if you want to link to different sections of your WordPress site (as mentioned in Main feature section). 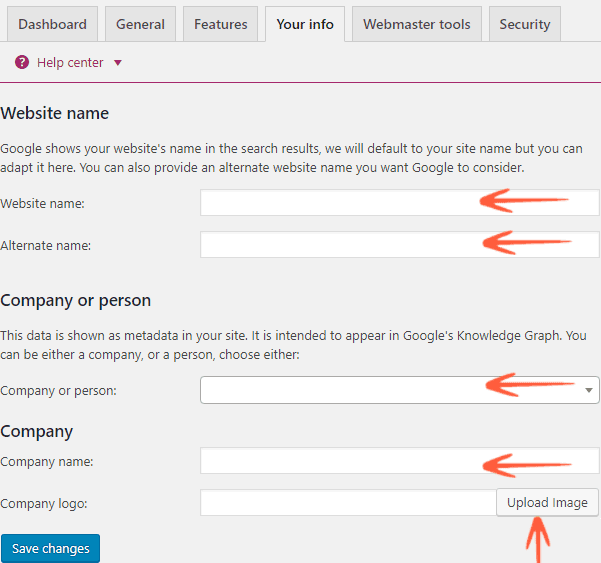 And avoid search engines from indexing duplicate content and still redirect their link benefits using canonical URLs. If your business largely depends on local clients, then make sure it shows up in local search results. But for that, your website must be optimized for local search. Just what this plugin does! Well, it is often an overlooked SEO tweak, but it has the potential to drive more targeted traffic to your blog. 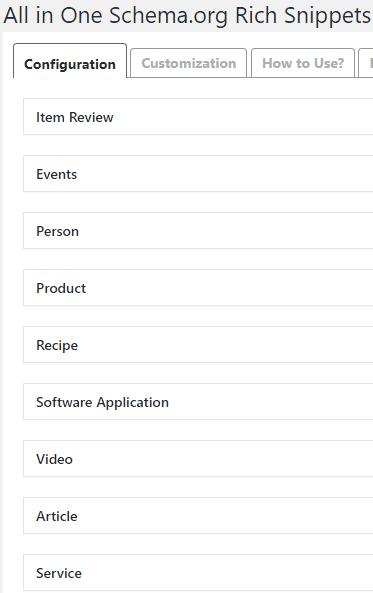 This plugin will display your business information formatted by microdata in both hCard and Schema.org formats. It also allows for customization of information. This microdata format makes the information easy for search engine indexing. The plugin also generates Google map, QR code, social media buttons, geotag coordinates etc. 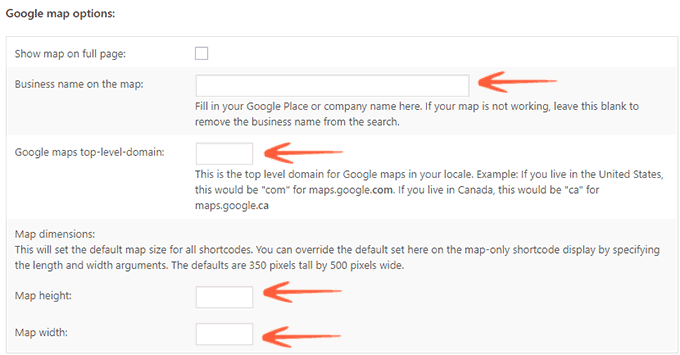 This is a must-have plugin if you want your important company information to be seen in the local search results. Last but not the least plugin on this Essential WordPress SEO Plugins list is AMP for WP. Are your web pages optimized for faster loading on mobile devices? If not, you must have AMP or Accelerated Mobile Pages. A rich and faster experience for the mobile users is a crucial search ranking factor for websites these days. This plugin offers oodles of powerful SEO features to help boost your site’s search engine rankings. Here are some of the main ones! One of the coolest features is a Custom AMP editor, which allows you to write new content for the mobile version of your web pages. Mobile redirection feature of the plugin makes your mobile pages to load incredibly faster, resulting in higher rankings in search engine results. Install this plugin to boost your blog’s search rankings as well as to offer a faster and smoother experience to your mobile visitors. I know there are several more Essential WordPress SEO Plugins out there to cover but I’m limiting my list to the really best ones. WP SEO plugins not just help you accomplish higher search engine rankings but also offers seamless and richer browsing experience to your visitors. So what WordPress SEO plugins do you use for your WordPress site? Do let us know in the comments section below.